What is mig welding process? 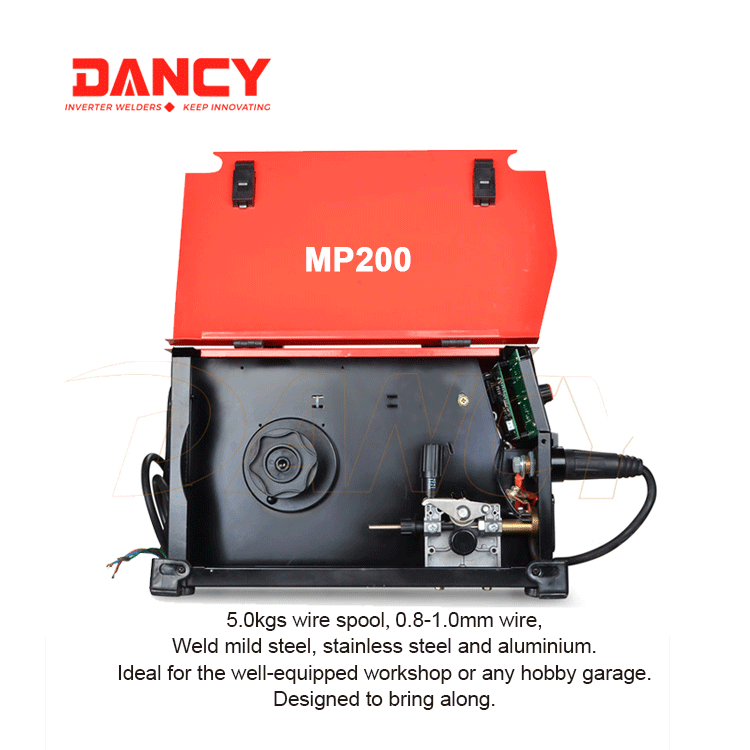 The MP200 inverter MIG weldling machine is a professional level multi process welder ideally suited for the DIY enthusiast to professional welder or fabricator. 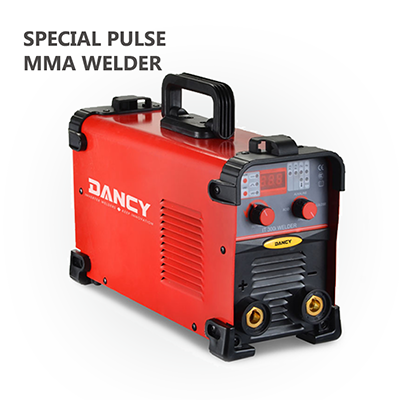 It is a compact, 3-in-1 welding solution. 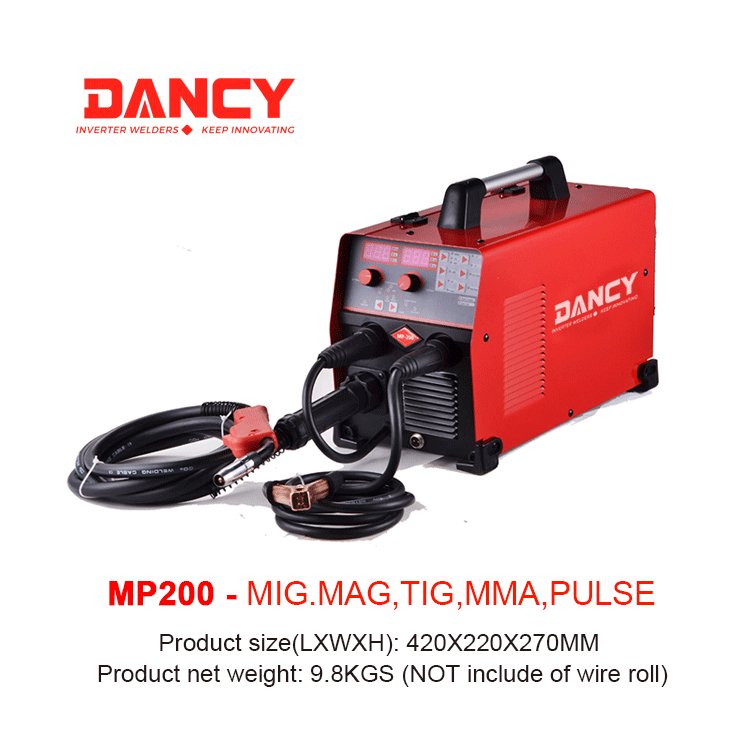 It is single-phase inverter power source ,that is also multiprocess-capable,bringing together MIG - MIG / PULSE - MIG / NO GAS - MAG - TIG DC LIFT –TIG DC LIFT PULSE- MMA DC-MMA PULSE DC in a single device . The MP200 is characterised by the intelligent design of the device, ease of use, synegic and a high level of reliability. Machine itself Weighing only 10.5 kg, it is also one of the lightest welders on the market. reversible polarity for gas and gasless mig wire use. 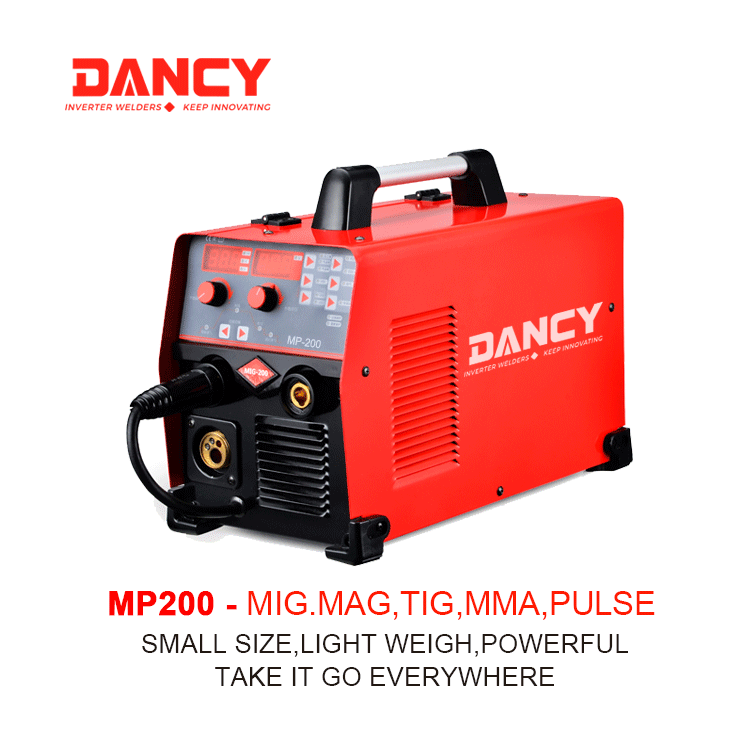 The MP200 contains all you need to MIG weld in one small lightweight package. 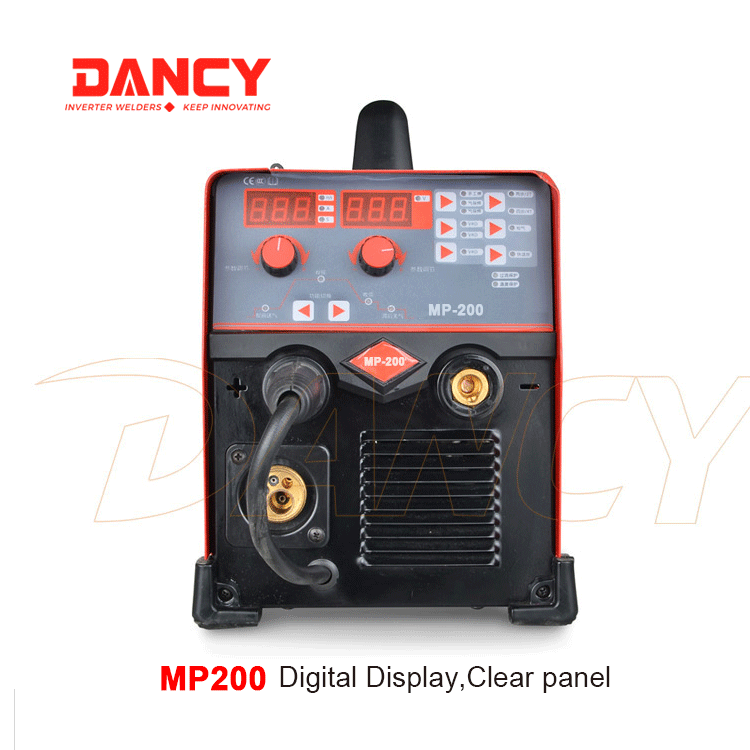 With easy operation of switch, it is a versatile Welding Machine, all processes are available to meet the application at hand,that provides the following welding functions: MMA, TIG, pulse TIG, MIG, single pulse MIG. It is widely used for a variety of materials, like low and high alloy steel, carbon steel, stainless steel, aluminum and aluminum magnesium alloy, copper and copper alloy, and special metal materials. The forced PULSE achieves an ultra fast transfer droplet rate into the weld pool improving production results. Higher speed, better penetration and less spatter means less energy used during the deposit and reduced deformation during the welding. 8. Adjustable preflow and postflow gives operator better control of the gas parameters affecting weld zone. 13. Large graphical display: guides user through process and parameter setup with ease and high visibility. 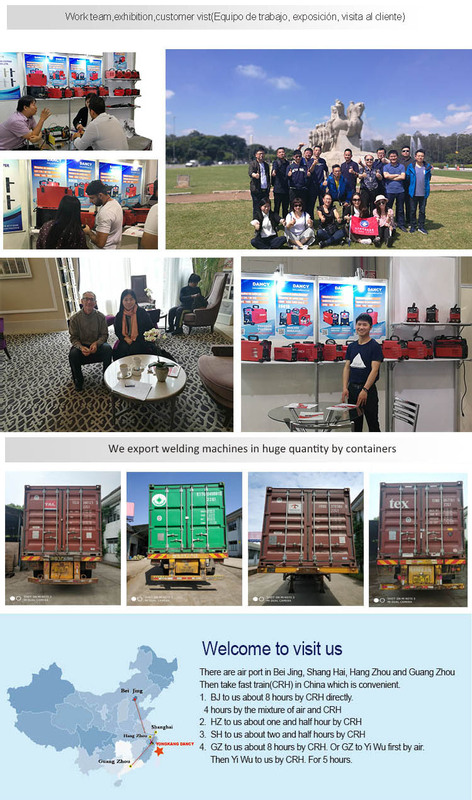 We are one of golden manufacturer for inverter welding machines in China,produce a big ranges of welder,like MIG welder, mma welder ,Tig Welding Machine,Plasma Cutter.We are looking for distributor.Hope you join us. We are professional manufacturer and trading office together. Whenever you run a big business or own a small shop,you are welcome to contact us. 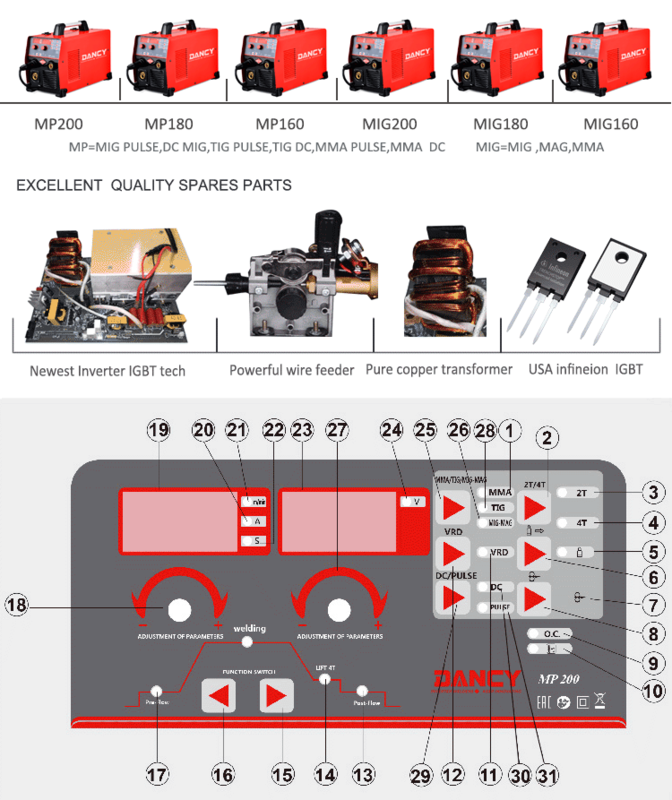 Usually,we offer 24 months warranty for each shipment since the shipping date.We are responsible for the problem because of our factory. 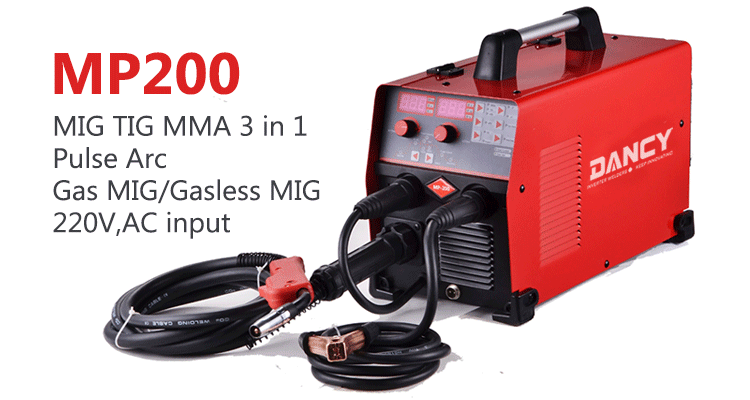 Looking for ideal Machine Mig Welding Manufacturer & supplier ? We have a wide selection at great prices to help you get creative. 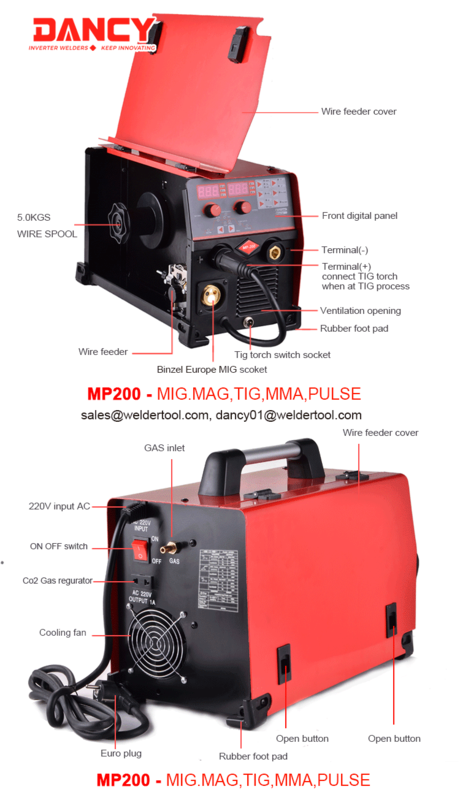 All the Mig Welder Price are quality guaranteed. 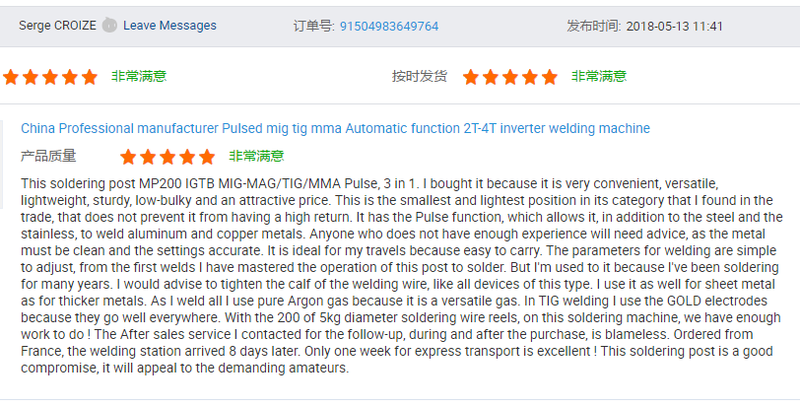 We are China Origin Factory of Mig Tig Mma Welder. If you have any question, please feel free to contact us.